It's BACK!! 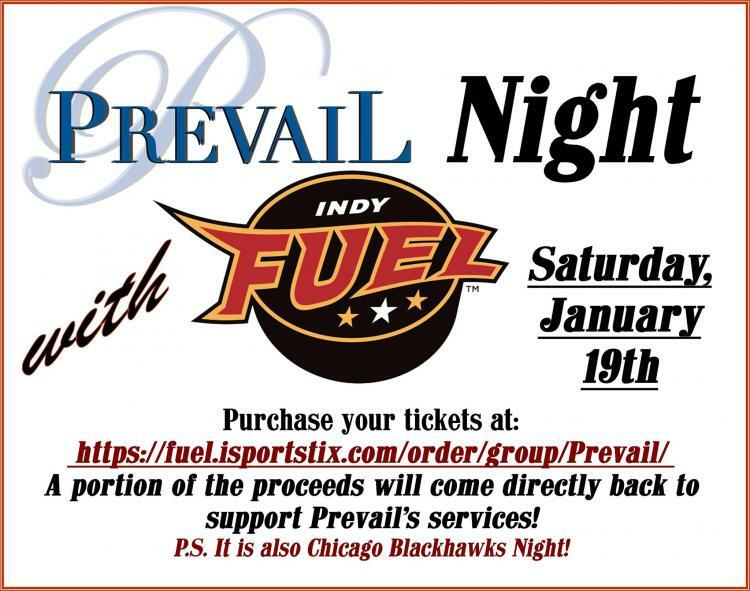 Prevail Night with Indy Fuel will be hosted at the Pepsi coliseum on Saturday, January 19, 2019 at 7:35pm (doors open at 6:30pm). Ticket levels include: Club $36, Platinum $27, Gold $19, Silver $18, & Bronze $13 Groups large and small can be accommodated - contact Natasha Robinson natasha@prevailinc.com for more information. Don't delay in getting your tickets! It is Chicago Blackhawks Night and tickets will sell out fast!